Yet another holiday season release from Nike Skateboarding surfaces on the web today in the form of this all new Zoom Stefan Janoski. The popular Nike Skateboarding silhouette arrives covered in navy suede, sitting above their usual vulc rubber sole in white. Set to release this holiday season, this unique version of the Zoom Stefan Janoski is topped with pecan Swoosh logos and a unique pattern along the collar area. 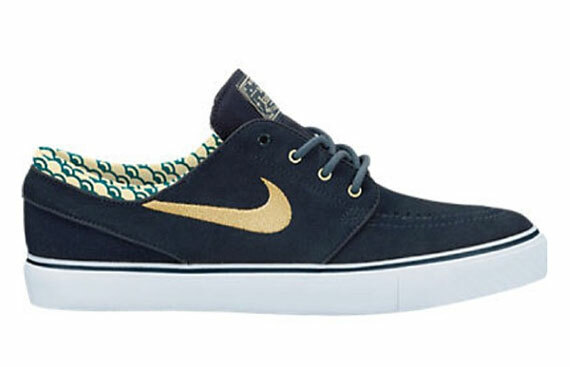 Look for the Navy/Pecan Nike Zoom Stefan Janoski to hit Nike Skateboarding accounts this holiday season.